Air Force Brat, mys_721tx, Yodello and 3 others like this. kenvui, Air Force Brat, Josh Luo and 6 others like this. Air Force Brat and Yodello like this. Absolutely gorgeous. 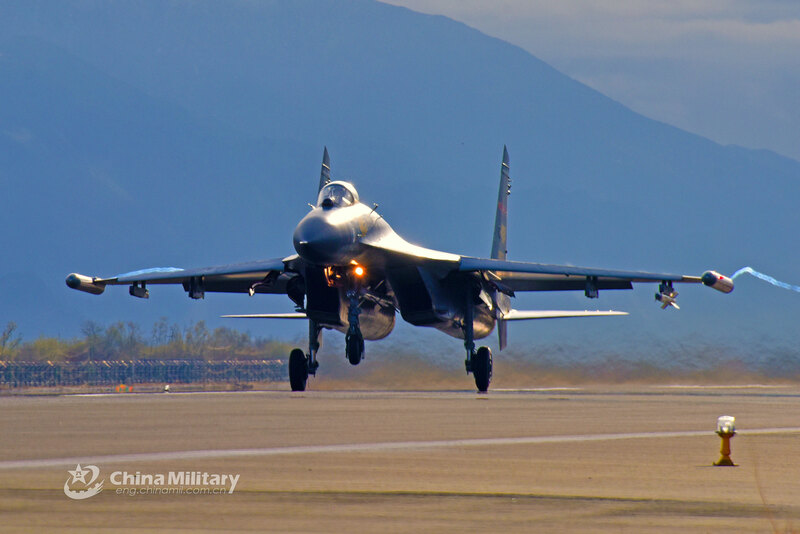 Flankers are just the best-looking fighter jets out there....! Air Force Brat and davidau like this. 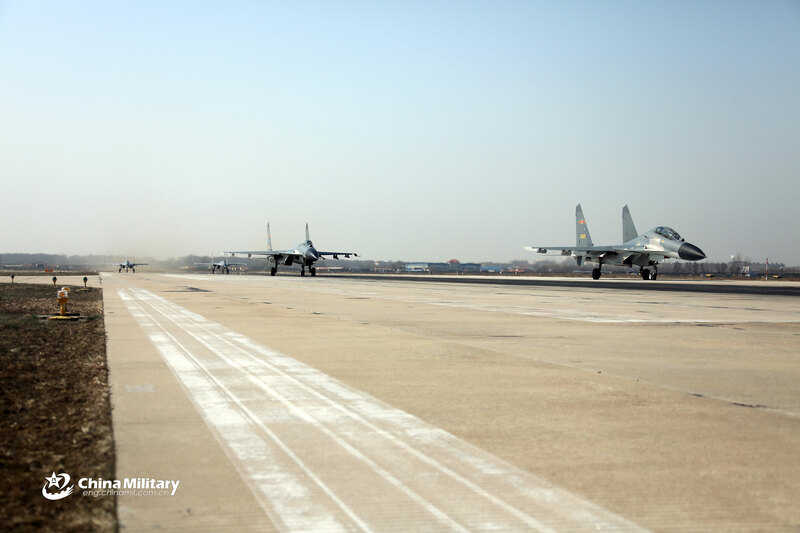 High quality pics of pilots assigned to an aviation brigade of the PLAAF Northern Theatre Command taxiing on tarmac ready to take off for a course-changing flight excercise on 27 March 2019..
Yodello, Air Force Brat and mys_721tx like this. Yes, its and absolutely gorgeous airplane, the Su-57 is the "beautifull doll" of the whole bunch... you have to love the Flanker fuselage, its quite unique! 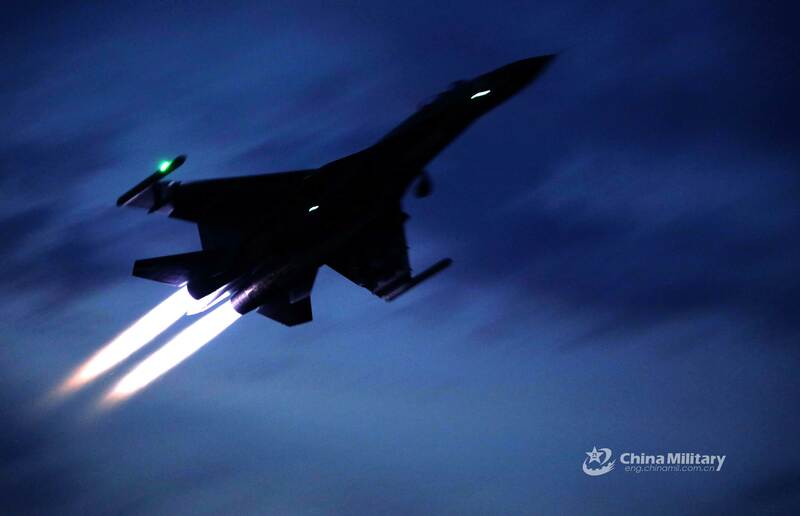 The J-11B fighter jet has become the latest user of China's self-developed world-class air-to-air missile that was feared by senior US military officers, revealed China's national broadcaster on Monday. 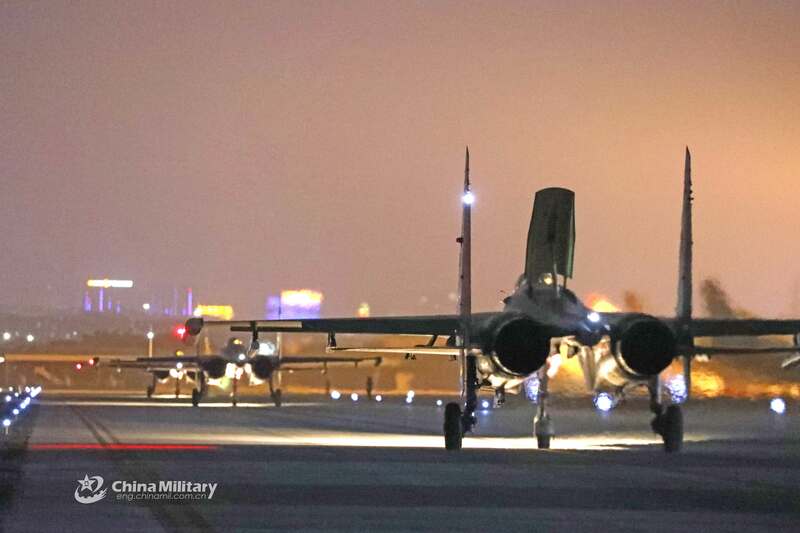 A photo appeared on a China Central Television (CCTV) program on Monday shows a J-11B under the People's Liberation Army Air Force carrying a large missile under its wing. 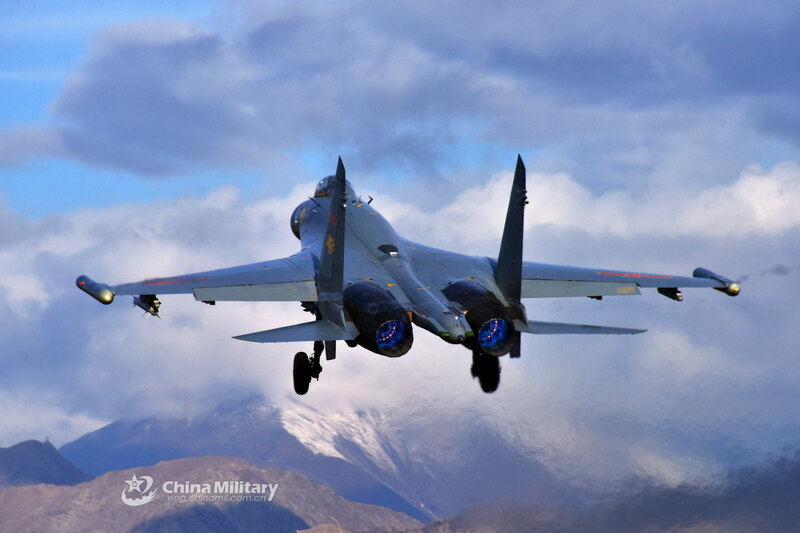 The J-20 stealth fighter jet carried the same type of missile and made public display at the Airshow China 2018 in Zhuhai, South China's Guangdong Province, in November 2018, CCTV reported. 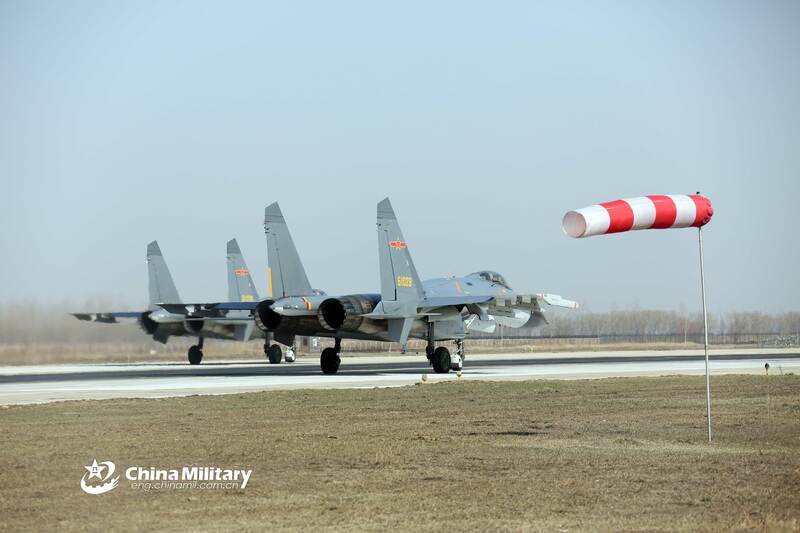 This is the first time a J-11B is spotted carrying this type of missile, the report said. 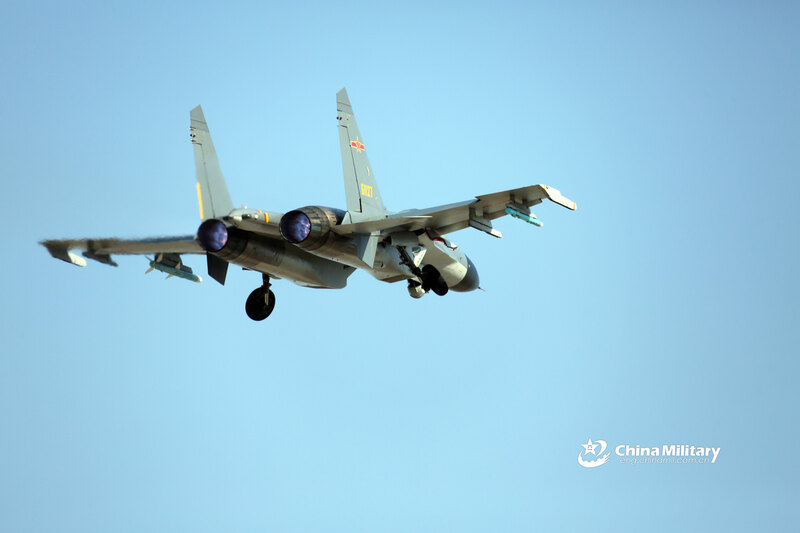 "Judging from the shape and aerodynamic design plus the J-20 reference, the missile is very likely to be the PL-15 air-to-air missile," Wei Dongxu, a Beijing-based military analyst, told the Global Times on Tuesday. Wei compared the PL-15 with the US' latest AIM-120 missile, as both have very long effective range that would allow the launch platform to become an airborne sniper, enabling an aircraft to hunt hostile fighters, early warning aircraft and aerial tankers from beyond visual range. 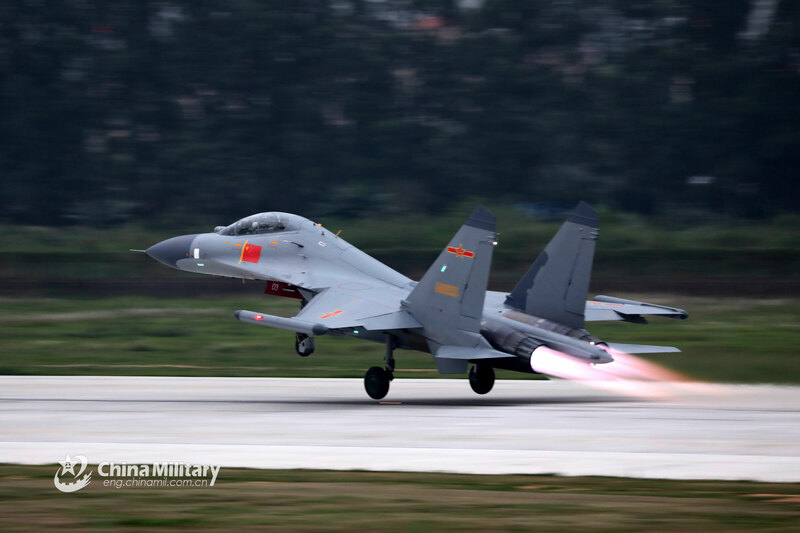 US media outlet the National Interest said the PL-15's effective range could be much higher than the AIM-120's 180 kilometers, but that could be an exaggeration, according to Wei. The PL-15 is also equipped with an active electronically scanned array radar, which makes evasion very difficult, Bloomberg reported. Then-US Air Force general Herbert Carlisle voiced serious concern about the PL-15 missile when it was first made public in 2015, as he called on the US Congress to fund a response, the Bloomberg report said. 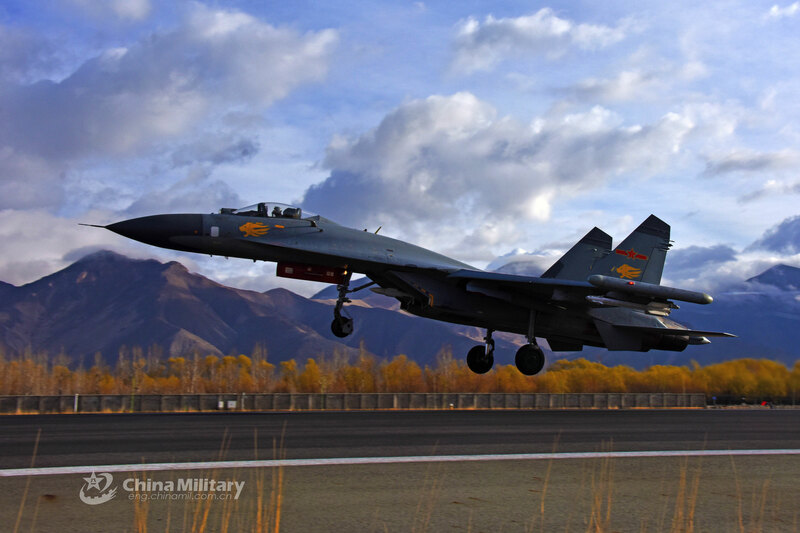 Wei said the technology of the PL-15 has matured, so it can now be put on a variety of platforms, including the J-11B. 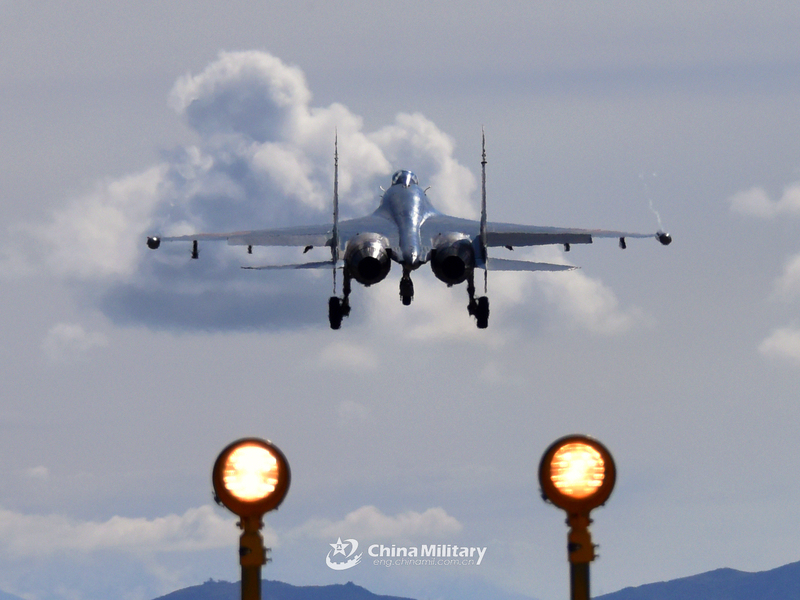 By equipping the missile, the J-11B's aerial combat capability can be greatly boosted, the CCTV report said. 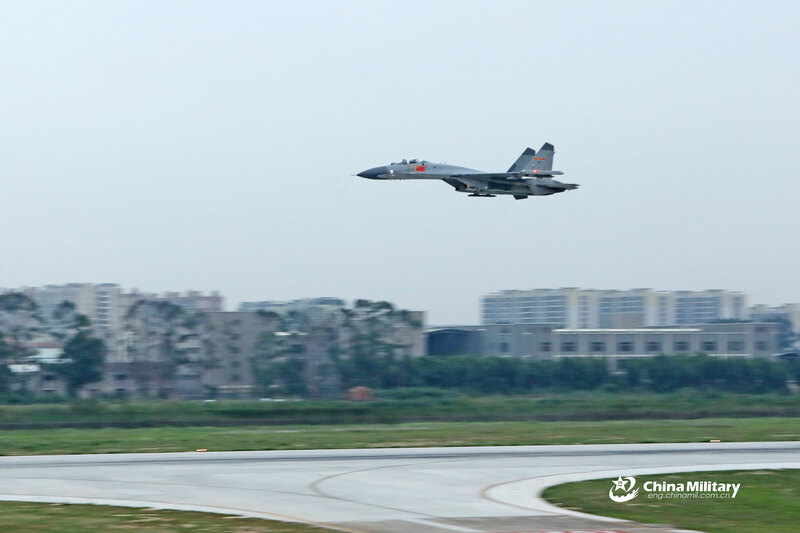 The J-11B is less advanced than other Chinese fighters like the J-20, and some military observers said the J-11B's radar could be outdated in a way that it cannot see far enough what the PL-15 can hit at maximum range. 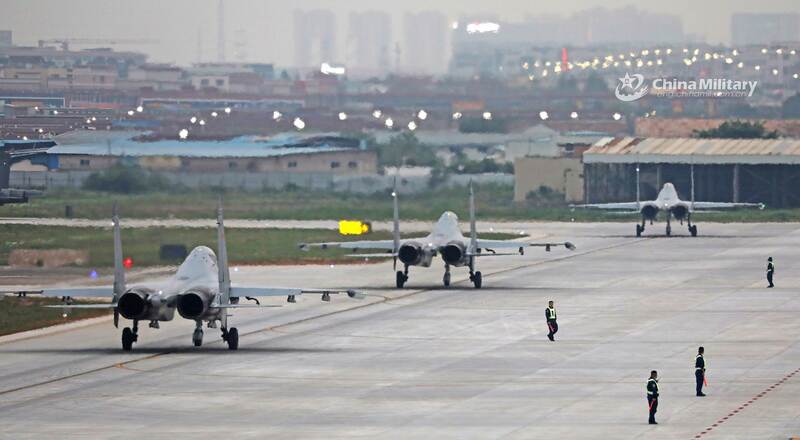 But that would not be a problem if the fighter is supported by other warplanes like an early warning aircraft, which can send target data to the J-11B, Wei said. 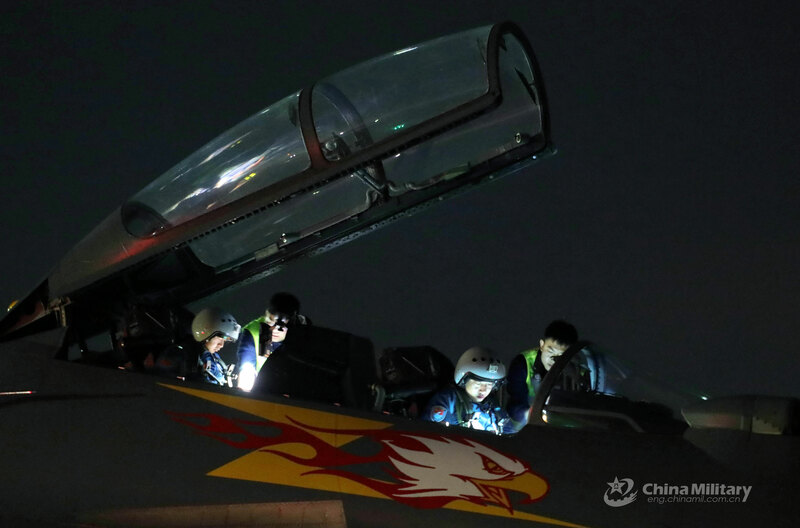 Dubbed by Chinese military observers as the "aerial trident," the J-20, J-16 and J-10C fighter jets, conducted air defense penetration drills in June 2018, with all of them reportedly carrying the PL-15 missiles. 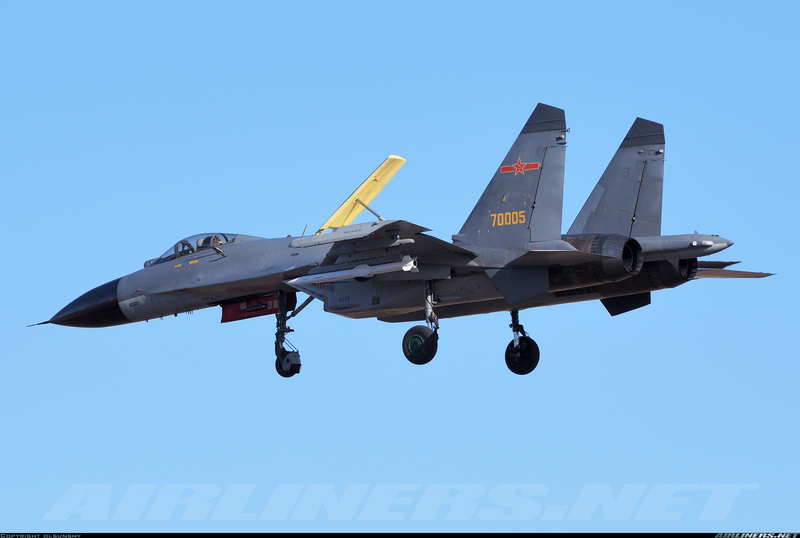 Now the J-11B could join the PL-15 club. bd popeye, davidau and Yodello like this. 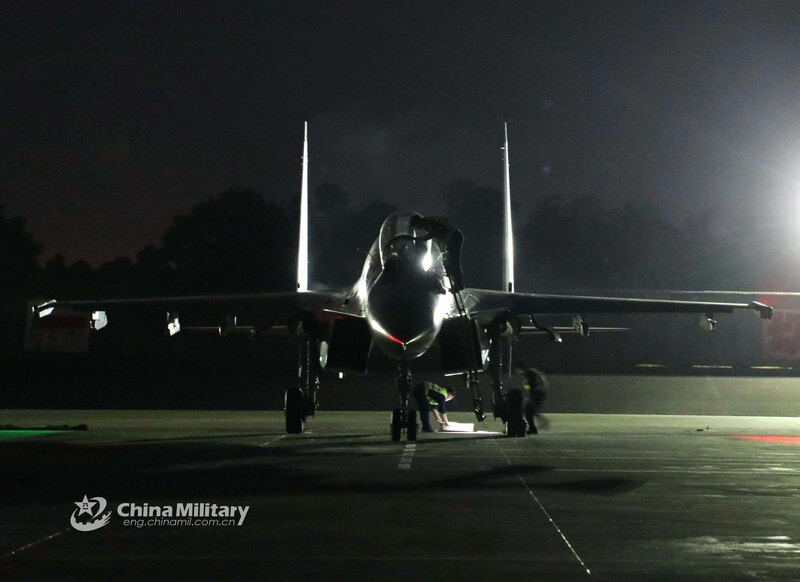 A Su-30 fighter jet attached to an aviation brigade of the PLAAF Southern Theatre Command awaits approval to take off at a military airfield during a night combat sortie on March 20, 2019. It soars into the night sky..
bd popeye, mys_721tx and KIENCHIN like this. bd popeye, Air Force Brat, mys_721tx and 1 other person like this. 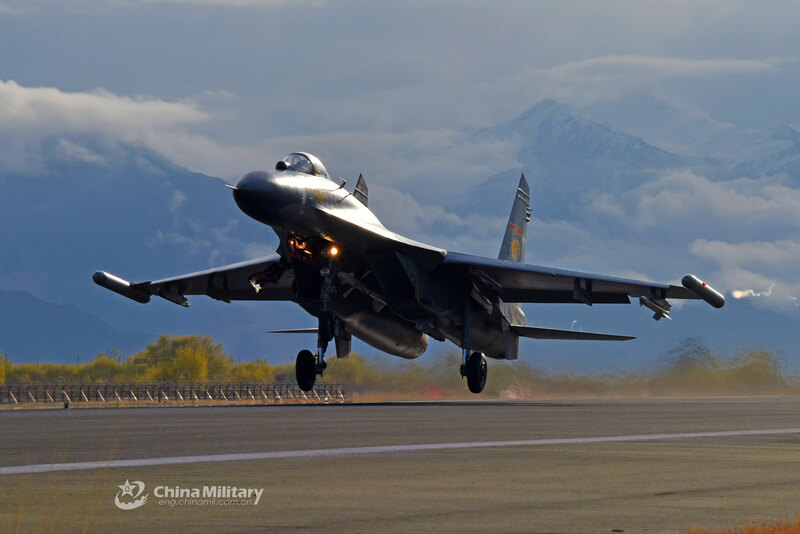 A J-11 fighter jet attached to an aviation brigade of the PLAAF Western Theatre Command takes off for an air combat training exercise at low temperature on April 1st ,2019.
bd popeye, newbird, Hyperwarp and 4 others like this.